Aurora was contracted to convert a tired old retail tenancy into a new SKG Radiology Branch, with a complete strip out of the current tenancy including removal of all existing services back to a shell. The project included new reception and waiting, ultrasound rooms, change rooms, assessment rooms, a new shopfront, staff amenities and bathrooms. 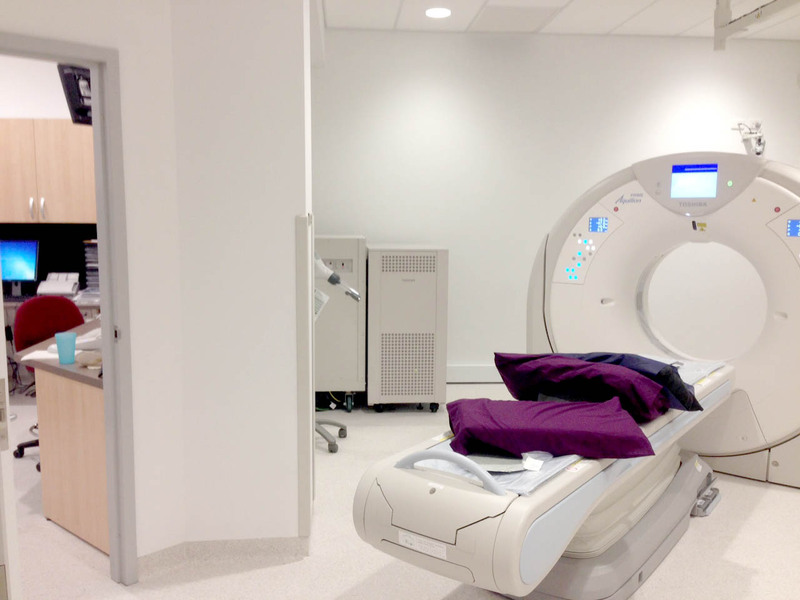 Coordination of support structures and meticulous attention to detail were required to enable seamless installation of extremely delicate and expensive equipment such as a CT Scanner and an X-Ray and Bone Density Scanner. Complete upgrade of all services infrastructure for the new facility was undertaken as part of the project.